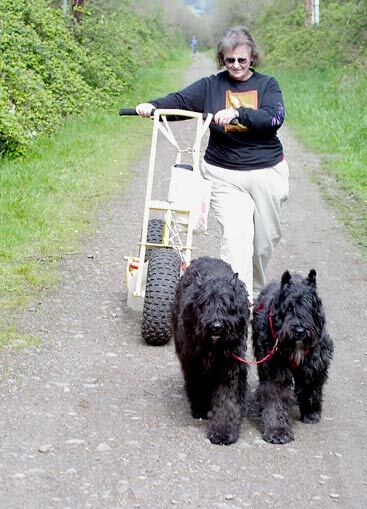 In April, 2003, we picked up a Yeti Scooter and started working with a couple of our Bouviers. This was taken on the very first run with Caprice on the right and Sam on the left. While they tried real hard, they had just come back from two days of hard running and were to tired to maintain enough speed to keep the scooter balanced. As soon as we can get them out again, more pictures will be added.